In our Benefits of Modular Homes blog series, we’ve already covered the main benefits of buying a modular home — the quick building times, the property appreciation, the opportunities for customization, and the pre-inspections. Today, we want to shift gears to talk about modular homes and energy efficiency. Because modular homes of old were unfairly labeled as lower quality homes, we tend to think of them as flimsy, thin constructions that could tip over with a gust of wind. Thin walls mean poor insulation, and so we also have this misunderstanding that heating and air flow go in one wall and out the other. This couldn’t be further from the truth. Modern modular homes actually have more capacity than stick-built homes to be energy efficient and environmentally friendly. Because modular homes are built in a standardized factory setting, they do not produce the same waste as stick-built homes. They’re pre-built to have exactly what you need and where you need it. Construction teams can simply assemble the home, as they already have all the required materials. There aren’t any extra bulldozers wasting fuel, siding that was brought but never used, etc. As such, modular home builds generally involve significantly less waste than stick-built home constructions. Additionally, modular homes benefit from energy-efficient building techniques that can only occur in a factory. Areas that are impossible to reach during a traditional home build are easily accessible, allowing construction teams to add insulation to electrical outlets, floors, and other primary areas of energy waste. In terms of insulation, modular homes are also built with 2×6 framing, making it possible to insulate walls even more thoroughly. Many modular home builders are making their houses more competitive by adding LED lighting and solar panel options. It’s already much easier to add these features to a modular home, as construction teams can install LED lights and solar panels in the same factory where the home is built, and modular home builders are capitalizing on this. LED lighting and solar panels are the gifts that keep on giving. Not only do they reduce your environmental footprint, but they also lower your utility bills and make you eligible for government stipends. 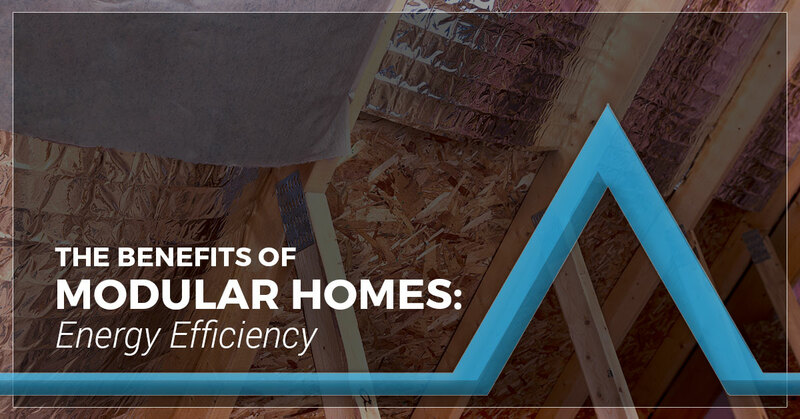 If you’re interested in these energy-efficient features, be sure to ask your local modular home builder about different options. Because of the weather we get in Illinois — hot and humid summers coupled with frigid winters — we know that energy efficiency isn’t just a luxury: it’s imperative. Without proper insulation and energy-efficient features, a home can eat up resources and yield egregiously high monthly utility bills. To build a custom home with the environmentally friendly features you want, contact Cannon Homes Inc. today or browse our selection of modular homes.